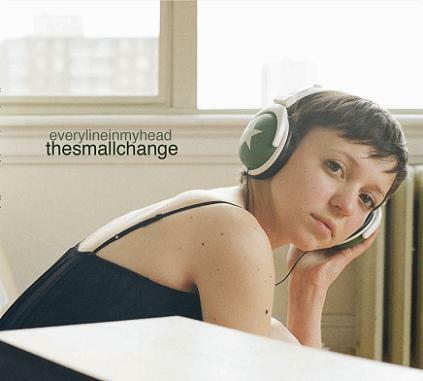 Song of the day: The Small Change – "From The East Coast"
I’m afraid that I have to start this post with a shameful admission. I was contacted by a brand spanking new (to me) American band called The Small Change who asked if I could mention them on this here blog. “Sure,” I said. “No problem.” But that was almost a month ago. A month. That’s unacceptable! Before I get to the music, I want to say this: The Small Change are, without a doubt, the most generous band I’ve ever come across. They’ve released three albums so far, and all three are available completely free of charge on their website. And they’re not hidden away somewhere on some secret page, either – they’re all on the website’s home page. Although there’s three albums’ worth of material to choose from, I’ll just play you some songs from the band’s latest album, Every Line In My Head (2010). This is the kind of music that can rev you up on a Saturday night. I can picture someone listening to it at home just before they grab their car keys and race out the front door, smiling as they go to whatever party or gig they’re going to. CD Baby describes The Small Change as a “Mod powerpop beat sensation not unlike Sloan or You Am I, early Costello.” I’d go along with that. However, as well as those influences mentioned by CD Baby, Small Change singer Greg Collinsworth’s voice and delivery reminds me a little of Jello Biafra of the Dead Kennedys (especially in “From The East Coast”) and maybe Caleb Followill of Kings Of Leon – but I don’t know if that’d be taken as a compliment. The band also reminds me of The Replacements. I don’t quite know why, because I’d be the first to admit that melodically and structurally The Small Change’s songs aren’t an awful lot like The Replacements’ songs. I think that what I can hear is the same kind of loose and ragged vibe that The Replacements exuded. But enough of the comparisons. I reckon some bands would loathe being compared to other bands (“We want people to think of us, not 175 other bands!”), so I’ll stop that unhelpfulness. I think it’s around this point in the post where I have another admission to make (at least this one isn’t shameful). Although I was happy to listen to The Small Change’s songs, I wasn’t keen on the swearing. Even to this day, the official lyrics are still the polite ones (here’s just one online example). As much as I want (and I want to), I won’t play you all of “Starting Over” because this post is about The Small Change, not the Raspberries. Flea: Wow. That’s much better! Why swear in the first place? Is it meant to be perceived as tough? Rebellious? Naughty? Exuberant? I can’t quite see the point, because swearing in songs is now so commonplace that it’s lost its shock value. And it limits a potentially wider audience because people with sensitive ears (i.e., me) won’t want to hear the song because it contains swearing. By the way, the first time I listened to that song my computer crashed. I have a feeling that my computer doesn’t like swearing either. You are currently browsing the archives for the Small Change category.